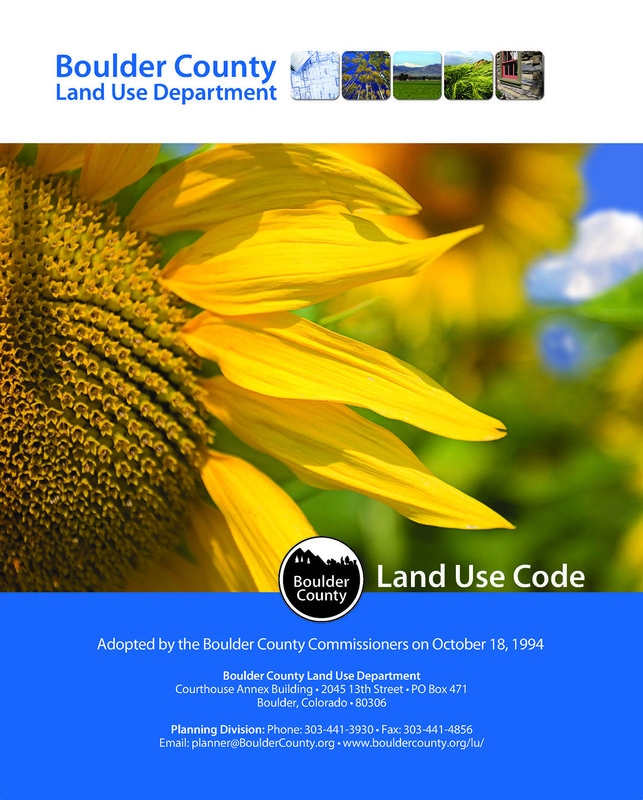 The Boulder County Land Use Code is enacted to protect and promote the health, safety, and general welfare of the present and future inhabitants of Boulder County, and to guide future growth, development, and distribution of land uses within Boulder County. The Land Use Code plays a large role in determining how unincorporated Boulder County will look in the future by the way it guides new construction and development today. The Land Use Code is a “living” document, and updates and amendments are made as needed. View Land Use Code Updates. You may order and purchase printed copies of the Land Use Code at the Land Use Department Office. The cost is $12.00. Sign up to receive emails about upcoming Land Use Code updates. You can unsubscribe from the list at any time. Sign-up to receive updates on Land Use Code Text Amendments.